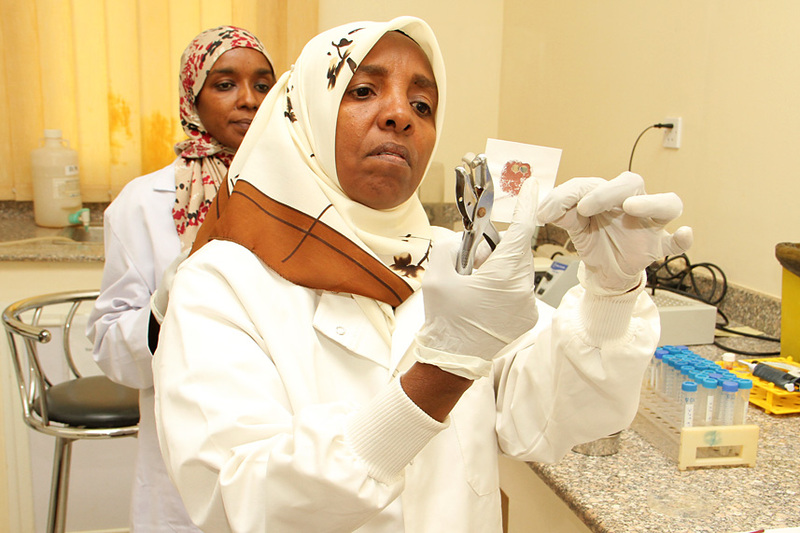 Lab technician Wigdan Elmubarak examines a blood sample, which she is testing for exposure to onchocerciasis microfilariae, the pre-larval-stage parasites that can infect the body. Each black fly sample is carefully labeled with the date and place of collection so the lab can track transmission. 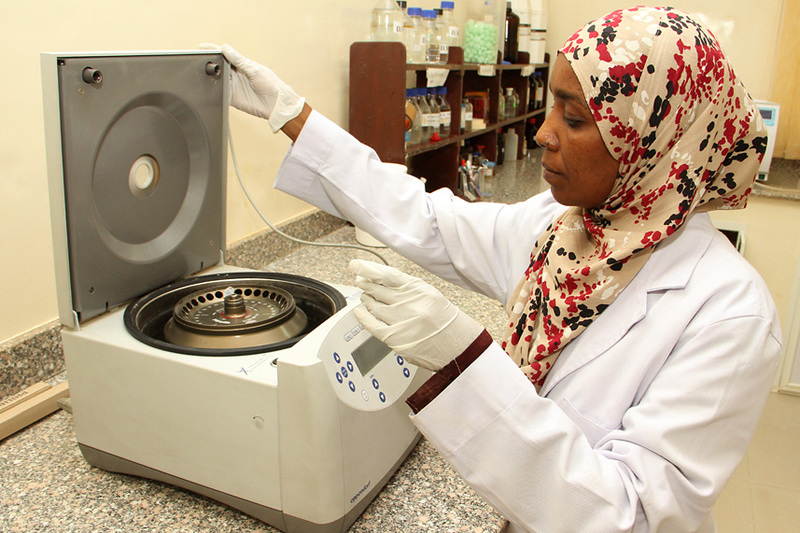 Lab technician Zeinab Abd El-Rahim Shumo operates a centrifuge, just one of several machines involved in extracting DNA from the flies. It’s a high-tech, painstaking process that takes days. Dr. Nabil Aziz Awad Alla spent 37 years working for Sudan’s Ministry of Health before becoming the Carter Center’s country office representative. He looks forward to the day when Sudan eliminates river blindness and the lab can be repurposed to fight other diseases. It’s a sweltering morning in Khartoum, Sudan. The temperature inside the sage-green corridors of the National Health Laboratory building is only slightly below that in the dusty parking lot outside, and the elevator is out of service. But Wigdan Elmubarak seems unfazed as she climbs the four flights of stairs to the onchocerciasis lab. Inside, all is cool and gleaming white. She greets her fellow laboratory technicians, Huda Ahmed and Zeinab Abd El-Rahim Shumo, and soon they begin pulling out test tubes and petri dishes and microscopes – small but important tools in the fight to eliminate onchocerciasis, also known as river blindness, from their homeland. Onchocerciasis, Elmubarak explains, is a painful eye and skin disease caused by parasites that are transmitted to humans through the bites of infected black flies that breed in fast-flowing streams and rivers. The disease can cause horrible itching, skin rashes, disfigurement, and vision loss or blindness. 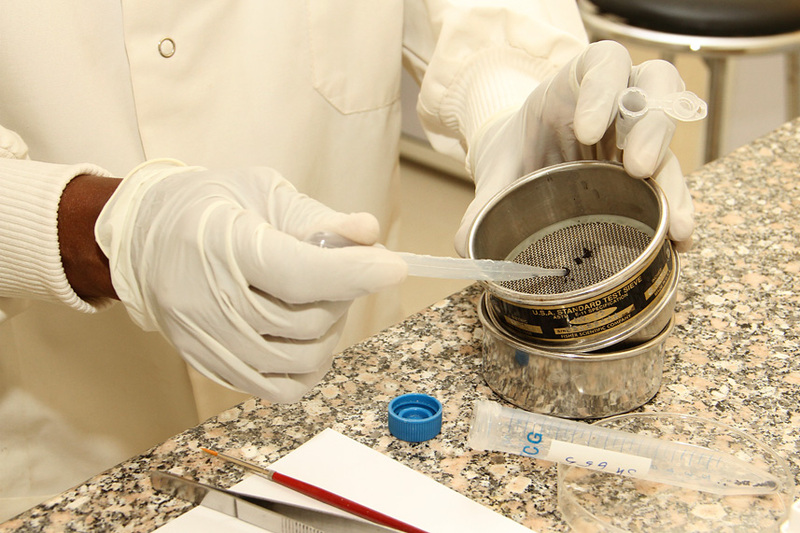 The Carter Center is working with Sudan’s Ministry of Health to combat this ancient disease by distributing Mectizan® to people in areas where river blindness is endemic. The drug, donated by Merck, kills young parasitic worms before they can spread to others, eventually breaking the transmission cycle. The trio of women in the lab – who work under the direction of medical entomologist Dr. Isam Zarroug – spend their days examining flies, blood samples, and snips of skin that have been collected in the field to see if they contain evidence of the parasites that cause river blindness. Dressed in headscarves, long lab coats over even-longer skirts, and comfortable shoes, they expertly navigate among the lab’s beakers and boxes of gloves, its centrifuges and water baths, its refrigerators set to precise temperatures. Each of the test tubes Elmubarak pulls from the deep freeze contains 100 tiny black flies in a solution of alcohol. She pours the contents of one tube into a petri dish and demonstrates the way she paints each fly so that she knows exactly which breeding site it came from. After that, she will place the flies in a liquid-nitrogen bath, which leaves them so brittle that their frozen little heads pop right off when she shakes their containers. Next she’ll use a strainer to separate the heads – where the parasites live – from the bodies. Then she and the others will extract DNA through a multi-step process that involves a variety of chemical agents and very high temperatures. It’s a high-tech, painstaking process that takes days. And the women are proud to be part of it. 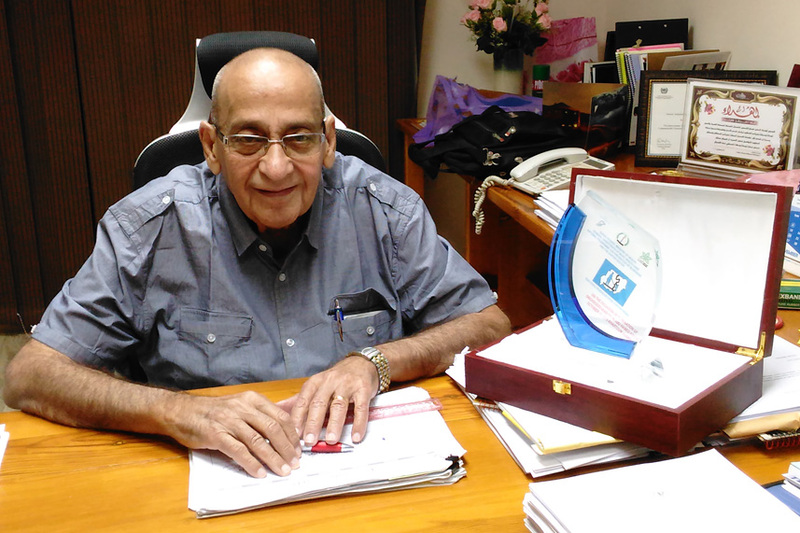 The Carter Center helped established the lab in 2011, says Dr. Nabil Aziz Awad Alla, who spent 37 years working for Sudan’s Ministry of Health before becoming the Center’s country office representative. 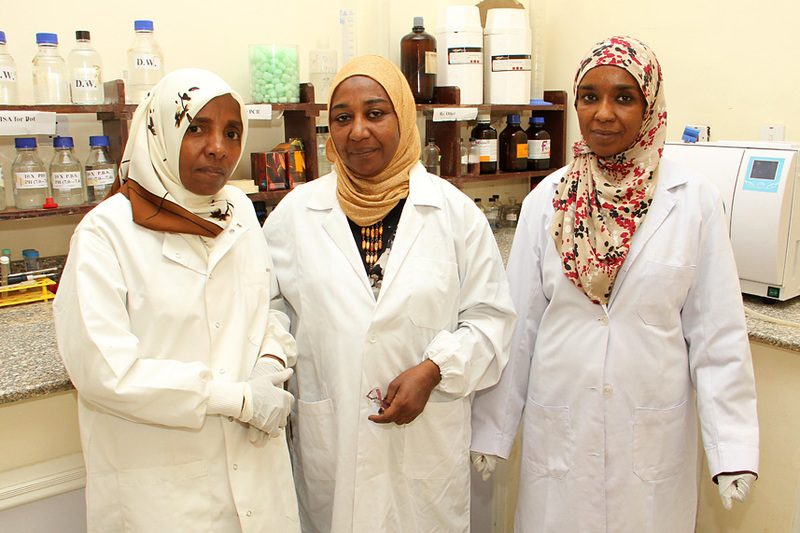 The Center assisted in furnishing, equipping the lab and training its initial employees, and now helps keep it stocked with chemicals and other supplies that can sometimes be difficult for the Sudanese to obtain; the government pays the staff’s salaries. Sudan once had three endemic areas, but in 2015, the government announced that one of those areas – Abu Hamad in north Sudan – had successfully eliminated transmission of the disease. The two remaining areas are in conflict-ridden Darfur and a section of the Sudan-Ethiopian border. These will prove challenging, but progress is already being made. One area near the border, Galabat, interrupted transmission in 2016. They have stopped distributing drugs there but will continue to test flies, skin, and blood for three years to make sure the disease has been truly eliminated. Nabil is confident that the Sudanese team will ultimately triumph. When that happens, the laboratory will be repurposed to help in the fight against other diseases.